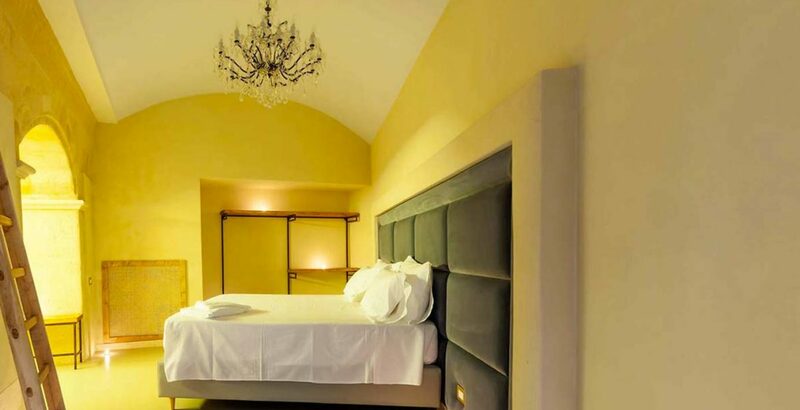 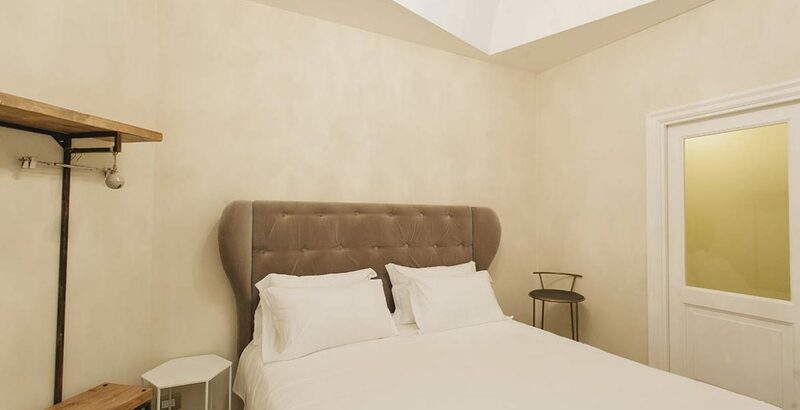 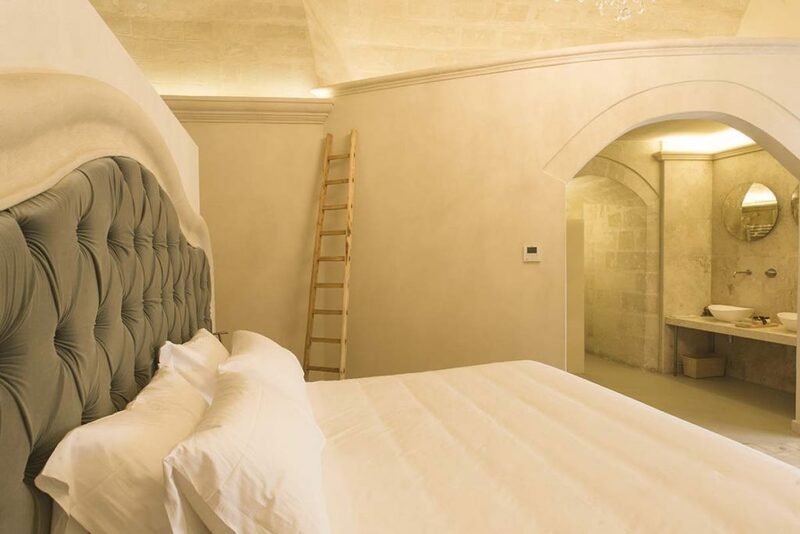 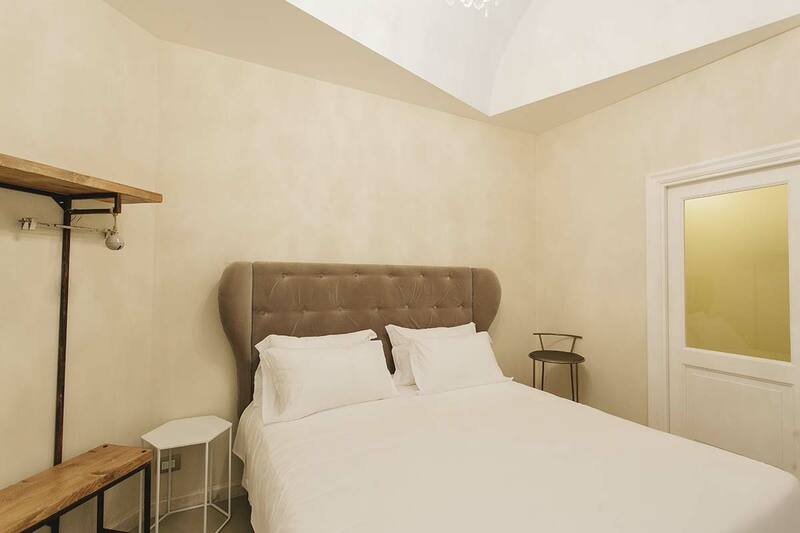 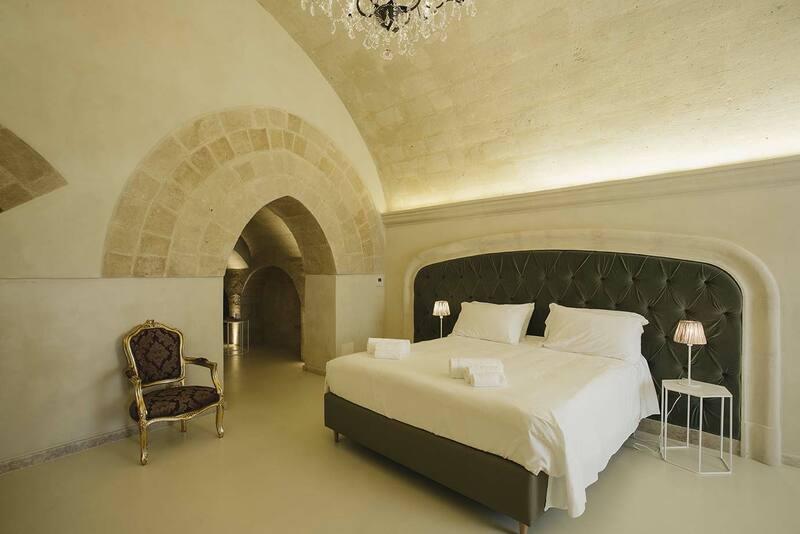 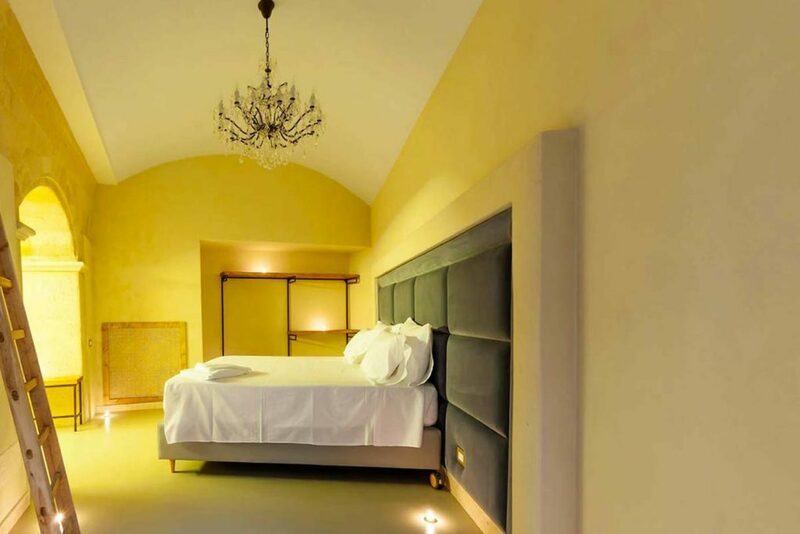 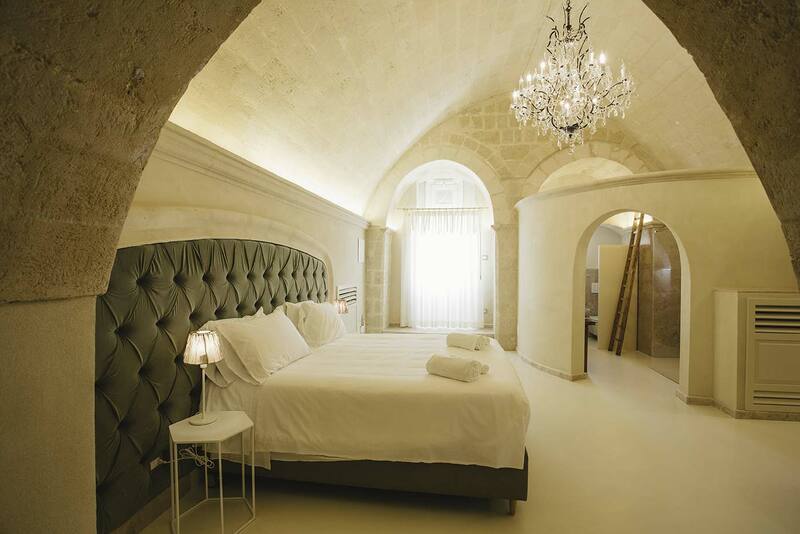 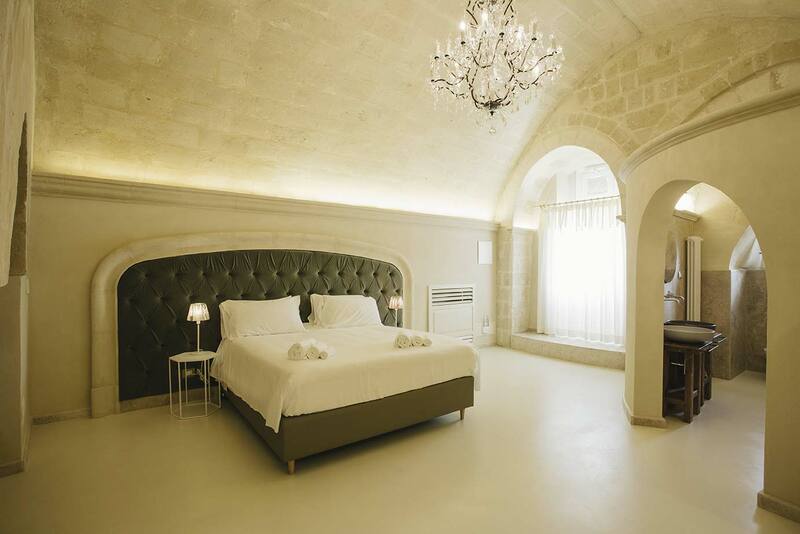 The luxury Deluxe Junior Suite “Rignana” is characterized by a spacious room standing out for its particular elegance, as well as a comfortable king size bed with tuff boiserie and soft velvet covered capitonnè headboard, integrated TV of 55 ” and wi -fi. 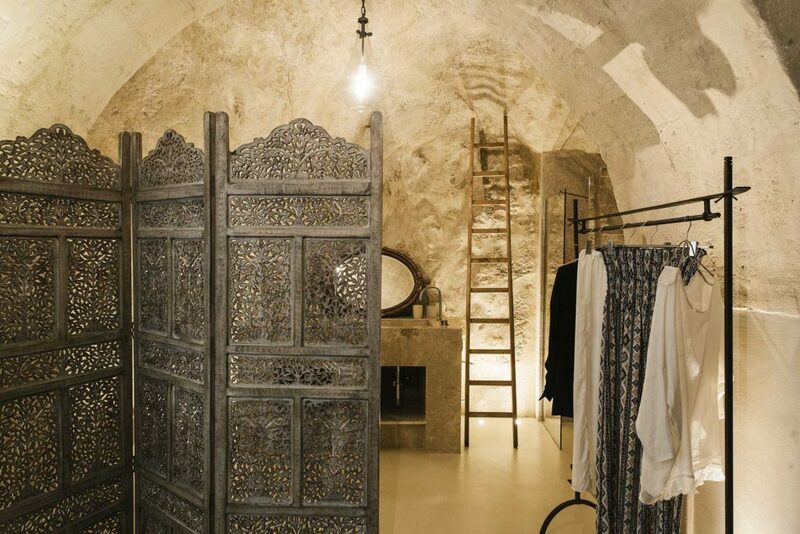 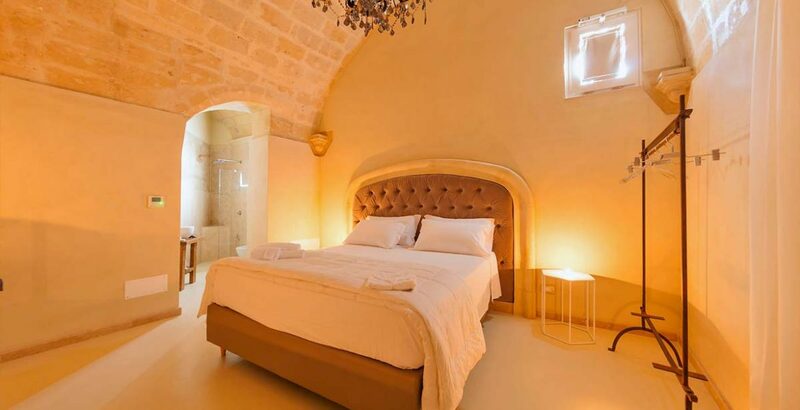 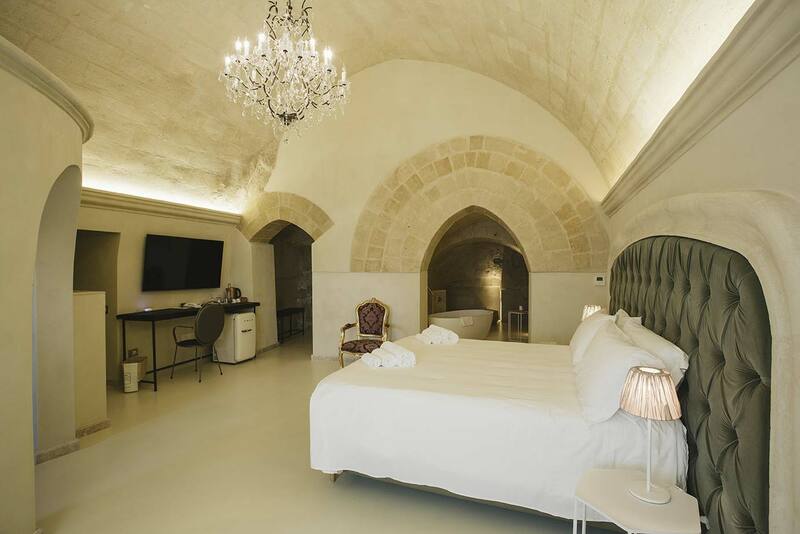 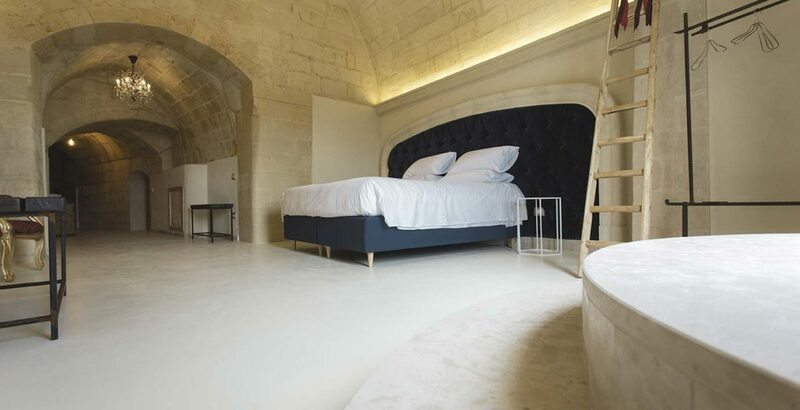 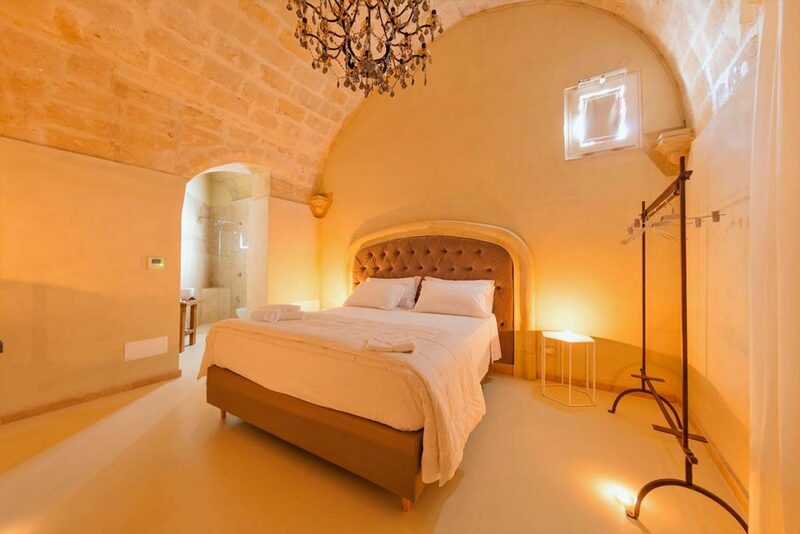 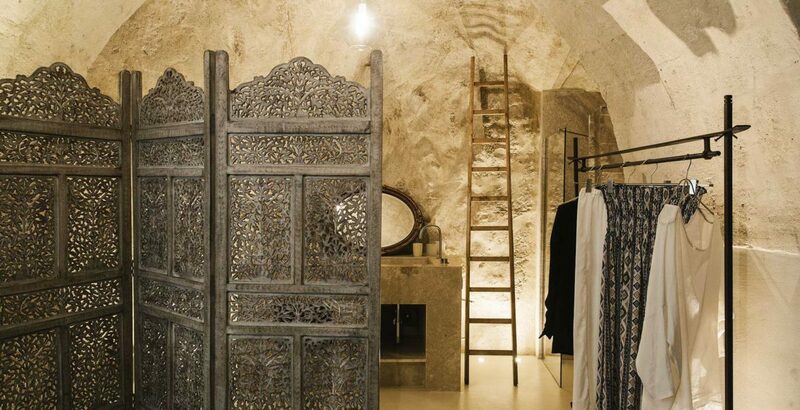 The room is characterized by the presence of two ancient caves bounded by the wall of the ancient “Castrum” dating back around 1000AD. 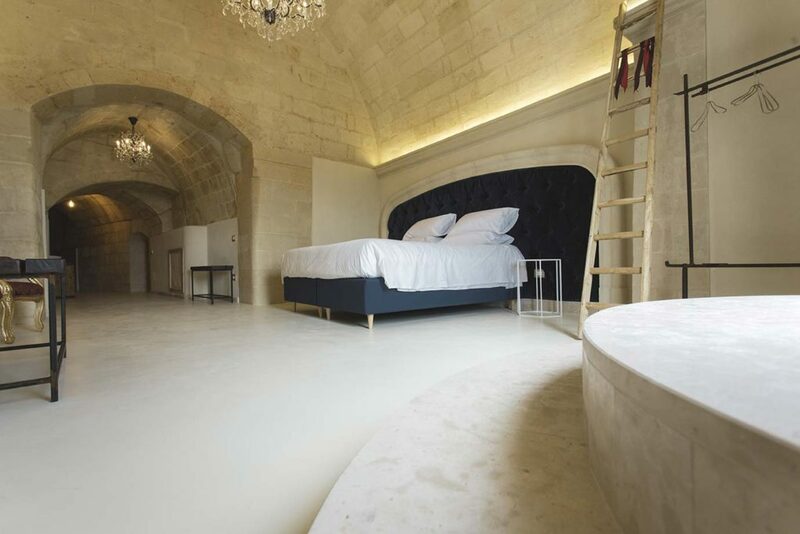 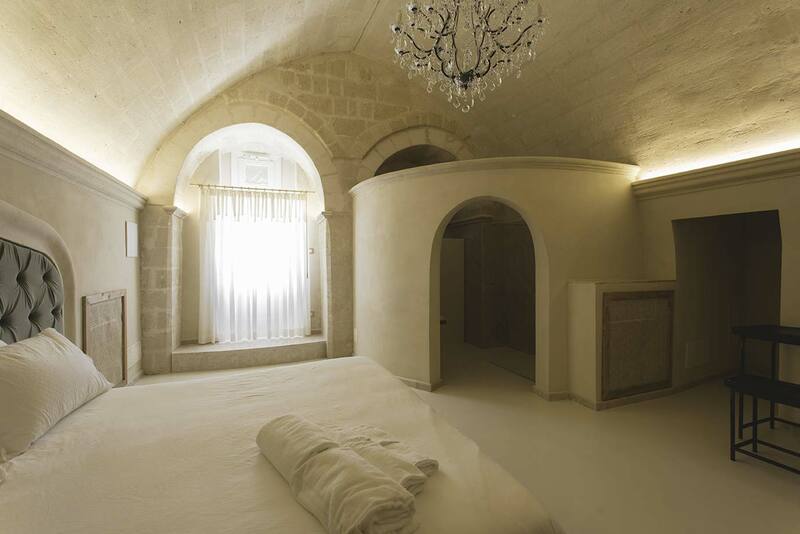 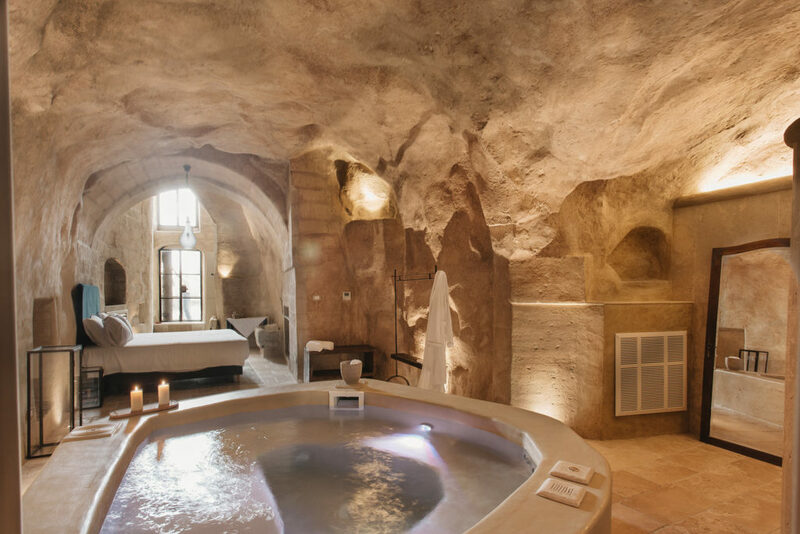 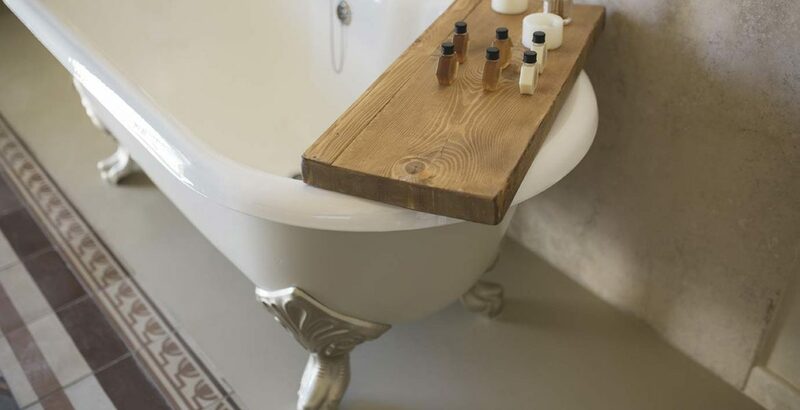 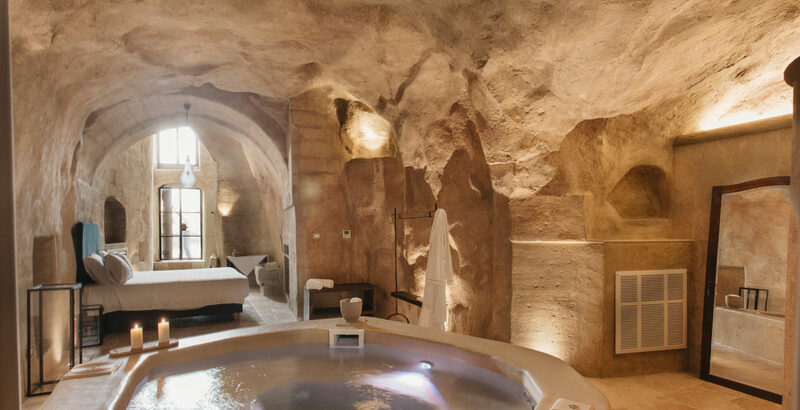 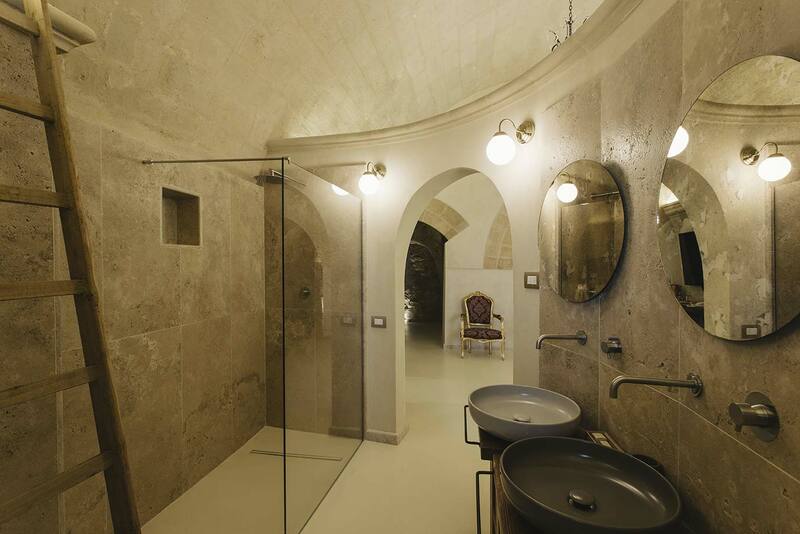 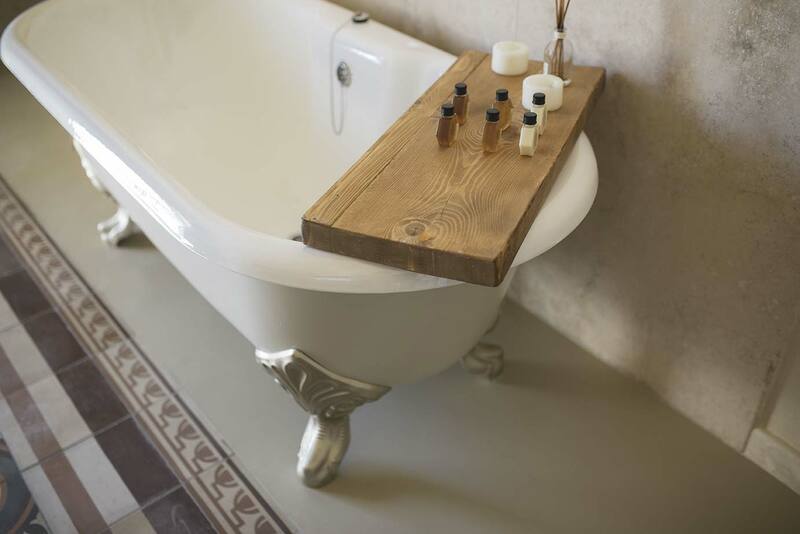 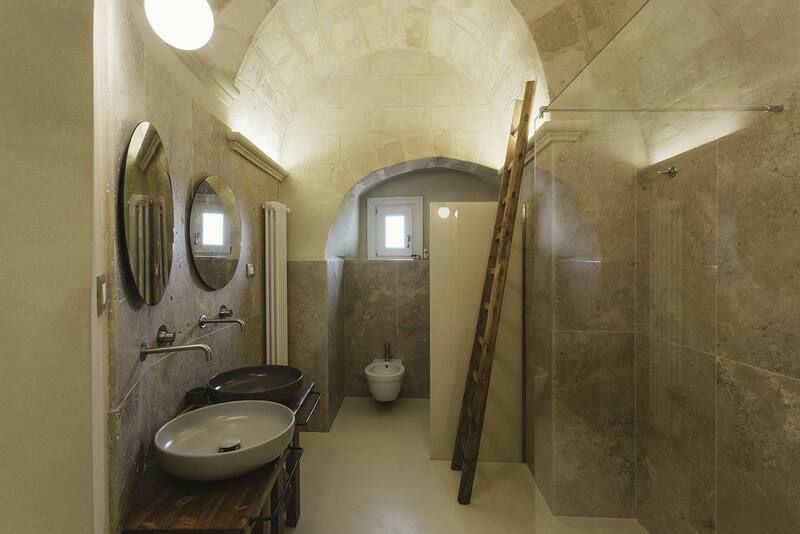 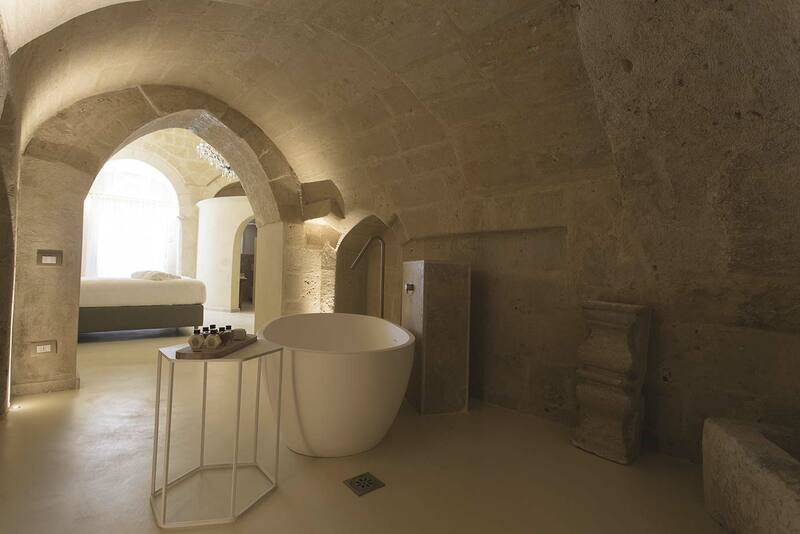 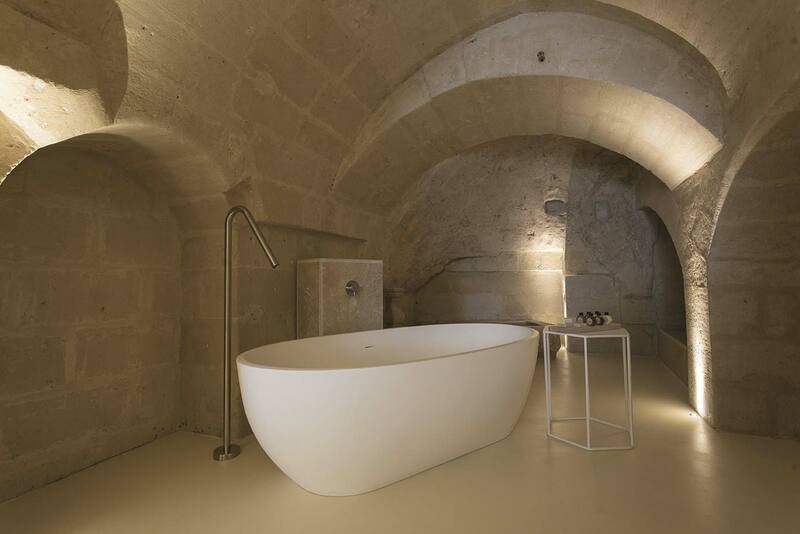 Inside one of the two caves is placed the elegant Corian bathtub, the ideal environment for those who want to plunge themselves in history in total relax.